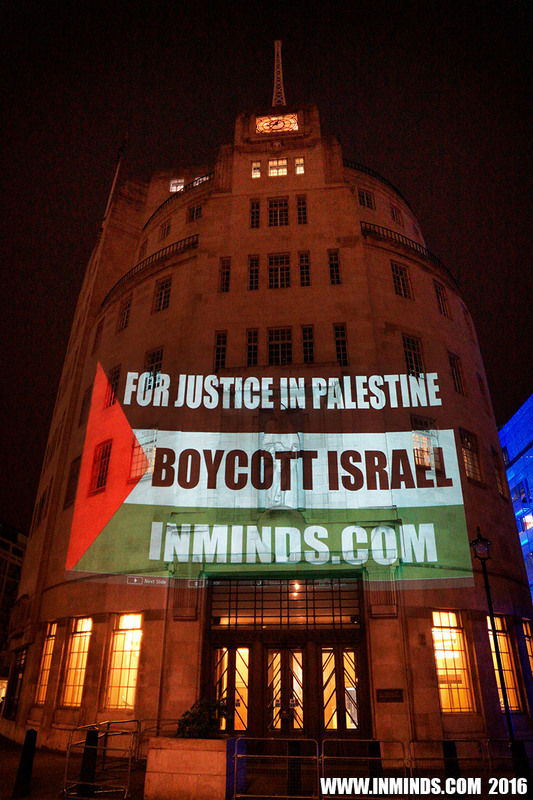 On the evening of 1st April 2016 activists from Inminds human rights group held a vigil outside BBC Broadcasting House in London to demand the BBC accurately cover the plight of Palestinians living and dying under illegal Israeli occupation. 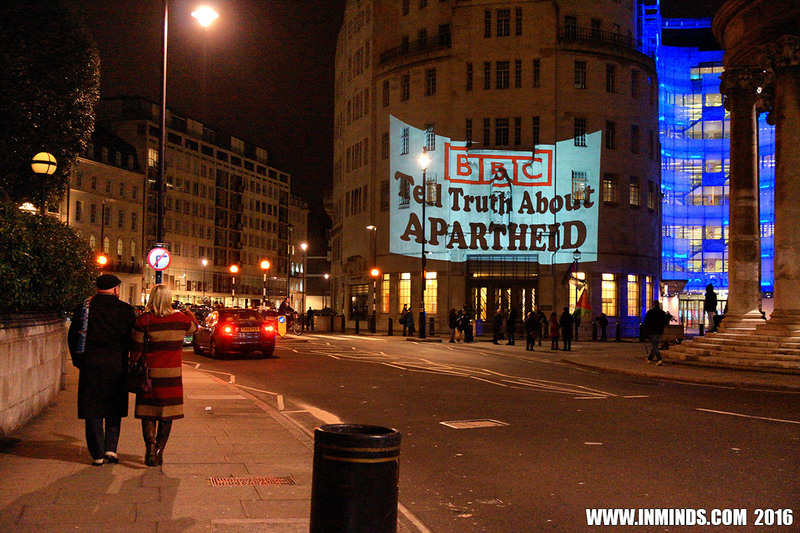 One story which has received very biased coverage in the BBC recently has been the execution last week of two Palestinians. On 24th March two 21 years old Palestinians, Abd al-Fattah al-Sharif and Ramzi al-Qasrawi were executed by Israelis soldiers in Hebron after they allegedly injured an Israeli soldier with a knife. 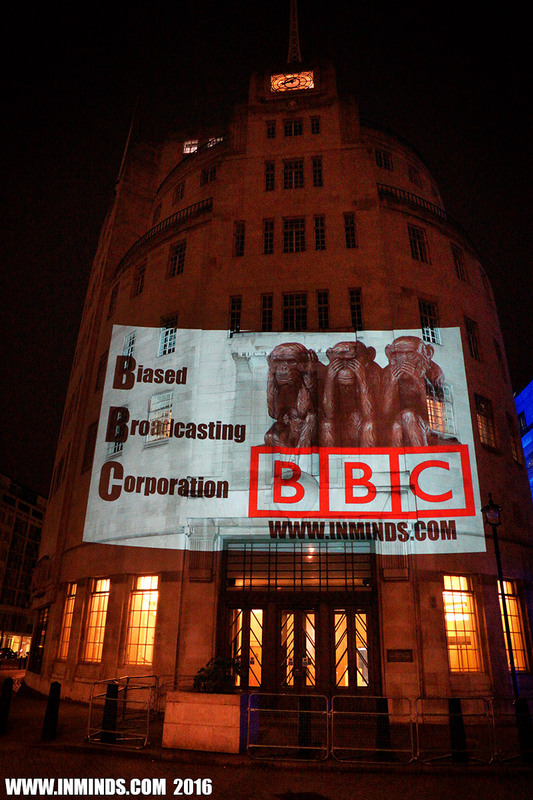 Inminds chair Abbas Ali said: "The BBC always seems to follow the Israeli narrative parrot fashion, and they don't mention the context of a story so purposely keeping the licence paying public in the dark. The injured soldier was part of Israel's army of occupation which is there illegally to enforce the supremacy of 800 fascist Jewish settlers who have turned the old city of Hebron into a prison for its 35,000 indigenous Palestinian residents. This is never mentioned, nor is the Palestinian right to resist this illegal occupation. The cold-blooded execution of the two Palestinians was a war crime. To protect the murderer the Israeli government has put a gag order on the Israeli press from revealing his name - Elor Azarya. 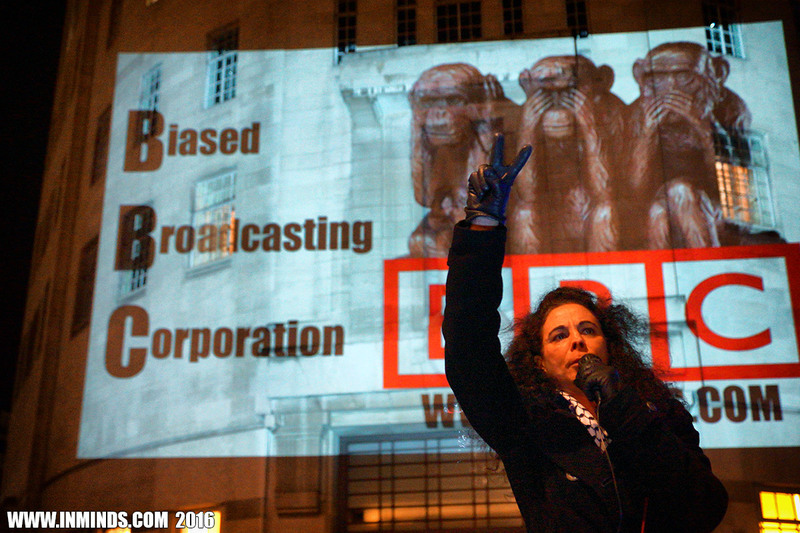 For some bizarre reason the BBC in the UK is voluntarily subservient to the Israeli gag order and not reporting the war criminals name. Why is this? 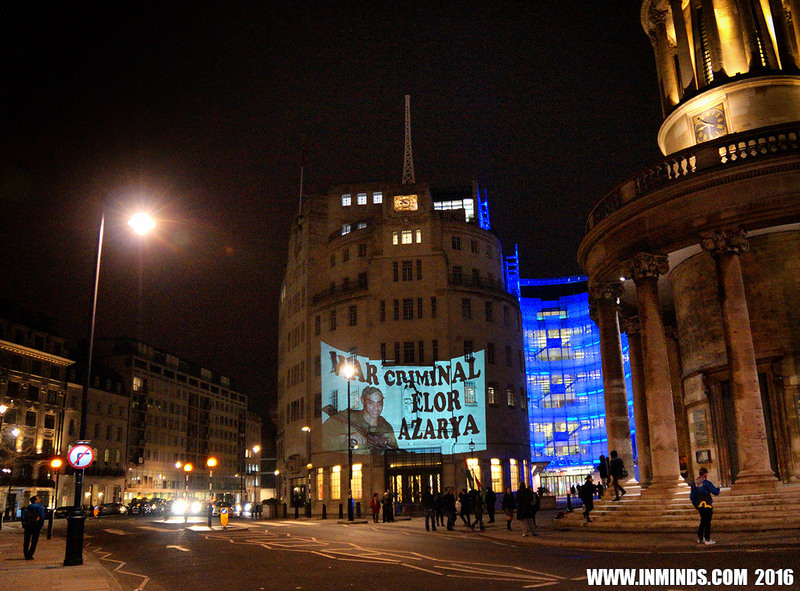 If the BBC wont report accurately on Palestine then we will do it for them.. on their walls.. starting with the name of the killer Elor Azarya!" 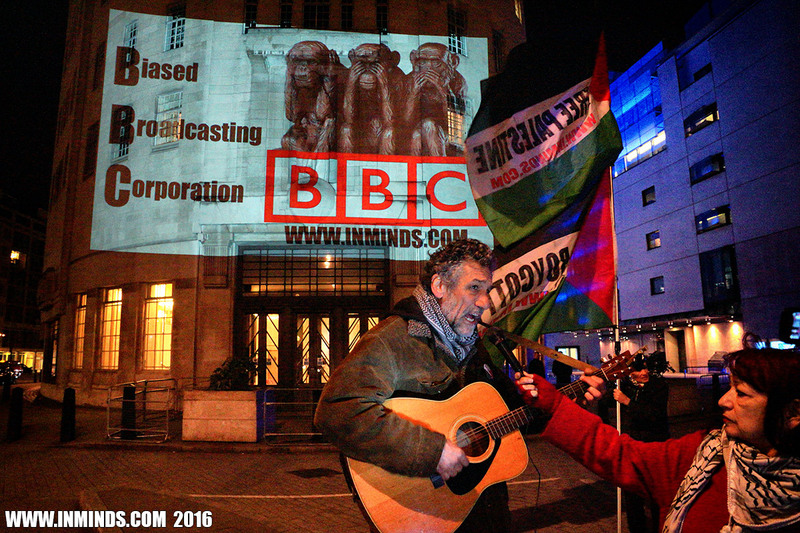 We are here outside the BBC to demand the BBC accurately cover the plight of Palestinians living and dying under illegal Israeli occupation. 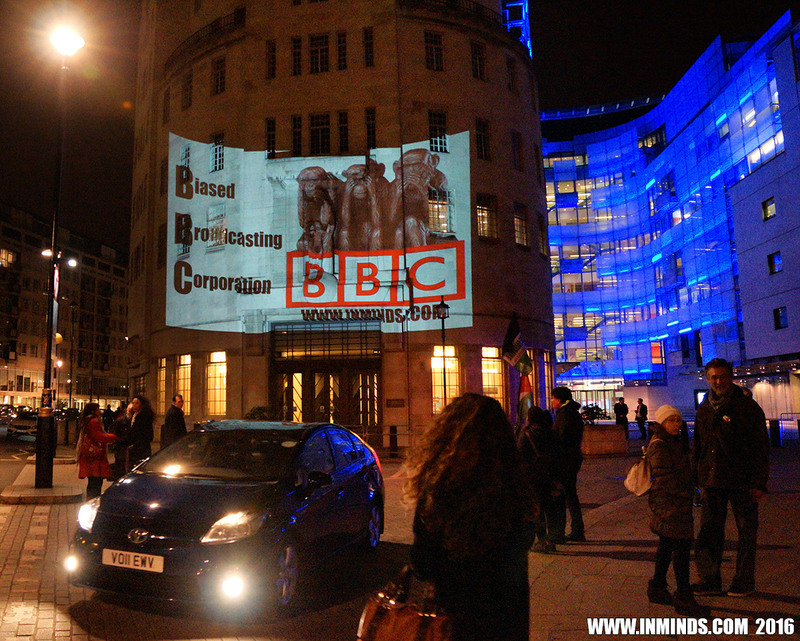 One story which has received very biased coverage in the BBC has been the execution last week of two Palestinians. On 24th March two 21 years old Palestinians, Abd al-Fattah al-Sharif and Ramzi al-Qasrawi were executed by Israelis soldiers in Hebron after they allegedly lightly injured an Israeli soldier with a knife. The injured soldier was part of Israel's army of occupation that has turned the old centre of Hebron virtually into a prison for its 35,000 Palestinian residents who are even prevented from using many of their own streets. One resident explained "You can’t move from one house to another without passing checkpoints or soldiers humiliating you. Even to leave the city is hard." The town centre is a ghost town with Palestinian businesses being forced to close at gunpoint. The occupation army is there to enforce 800 illegal Jewish settlers rule over a 35,000 indigenous Palestinian population. 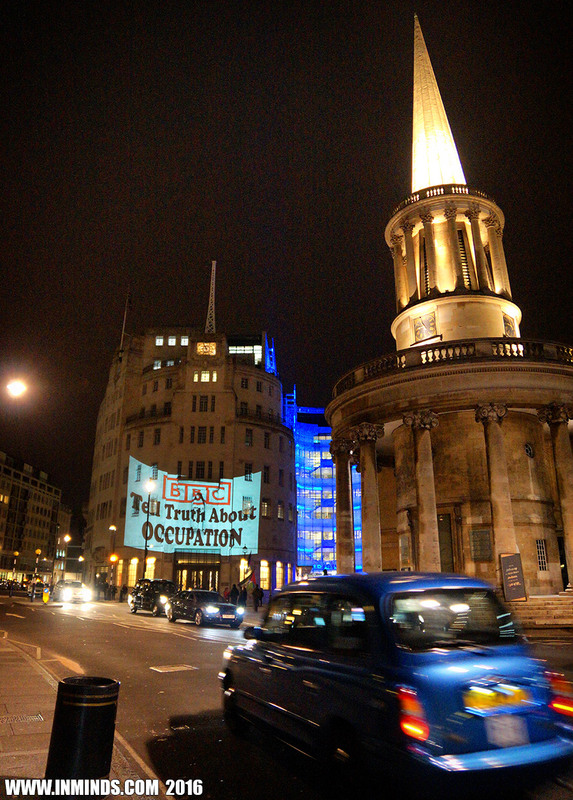 Palestinian right to resist such illegal occupation is enshrined in international law. 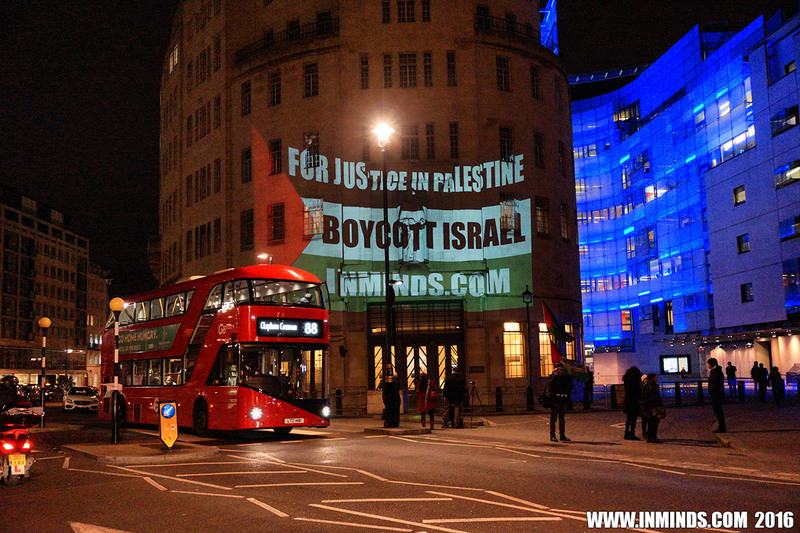 Why is this context not mentioned by the BBC who seems to report any resistance as terrorism? But the two Palestinians were not killed during their act of resistance against armed soldiers, but rather afterwards - about 20 minutes later - when they posed no danger to anyone. They were executed whilst they lay injured on the ground. One of the executions was caught on camera by a local Palestinian resident. The video, filmed after one of the Palestinians had already been executed , shows two Israeli ambulances ignore Abd al-Fattah al-Sharif who is injured on the ground. People are heard shouting in Hebrew 'the dog is still alive'. Then the killer, Israeli soldier, Elor Azarya, is shown casually cocking his gun and walking up to defenceless Abd al-Fattah al-Sharif, aiming his weapon at al-Sharif's head and shooting. The video then shows blood streaming from the Palestinians head as he dies. Shockingly there is no response from the other soldiers to the incident, as if it’s just a normal everyday occurrence. It was only because the second murder was caught on camera that the killer was later reprimanded and faces manslaughter charge which in reality may mean release after a few days! 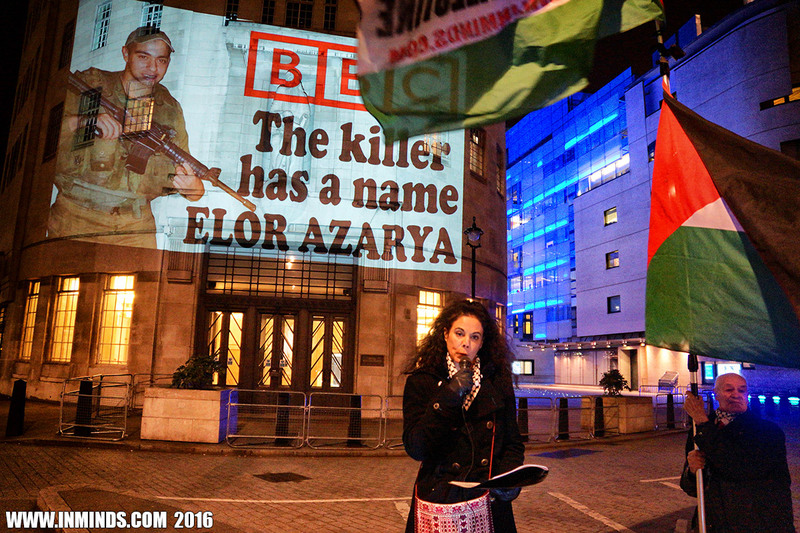 The killer Elor Azarya is a joint French - Israeli citizen. 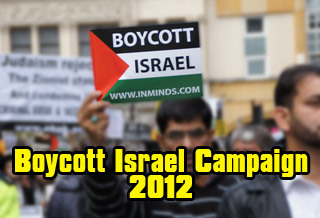 An international arrest warrant needs to be issued for his arrest should he ever leave Israel. 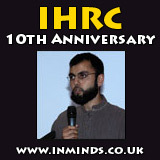 Human rights groups have condemned the killing as a war crime. 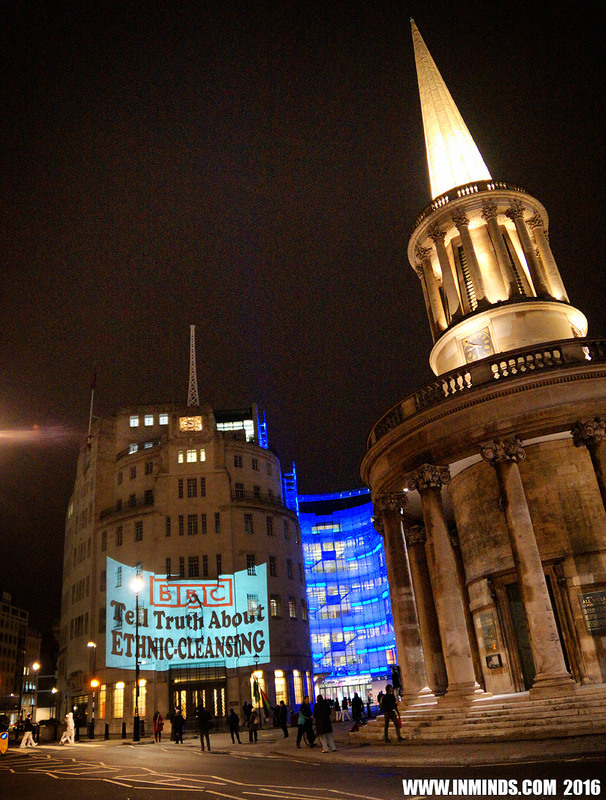 Why doesn't the BBC report this? 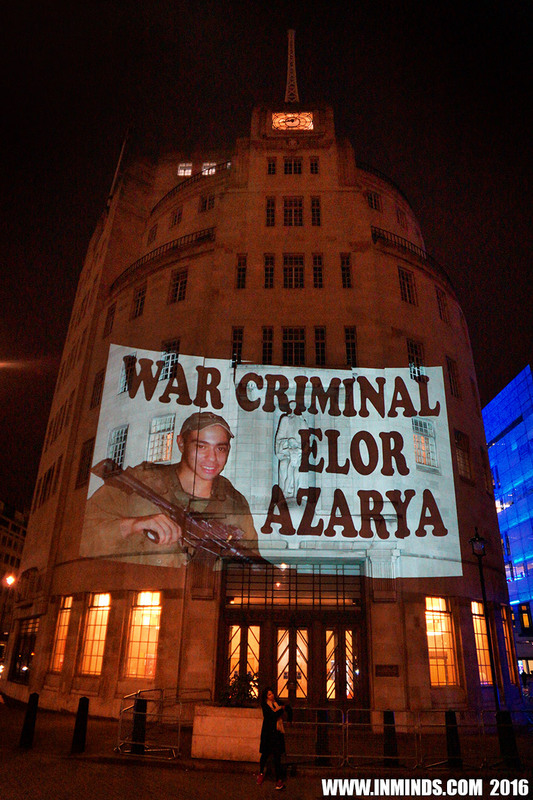 Why doesn't the BBC feature the face of the war criminal Elor Azarya? They don't even mention his name once! 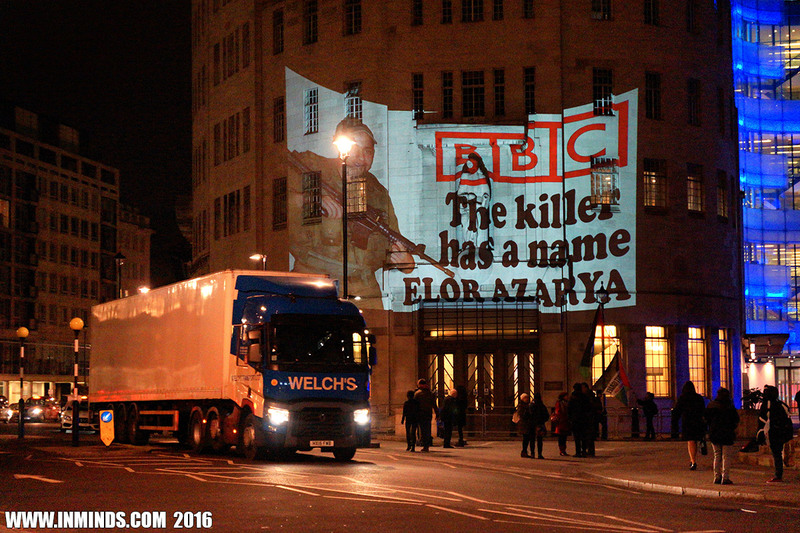 Elor Azarya the killer! In the meantime the brave Palestinian man who recorded the execution is being threatened by the Israeli occupation soldiers and illegal colonists with death. His wife and children have received death threats, his children can no longer go to school as they will be attacked by the settlers who are also calling for his home to be firebombed. 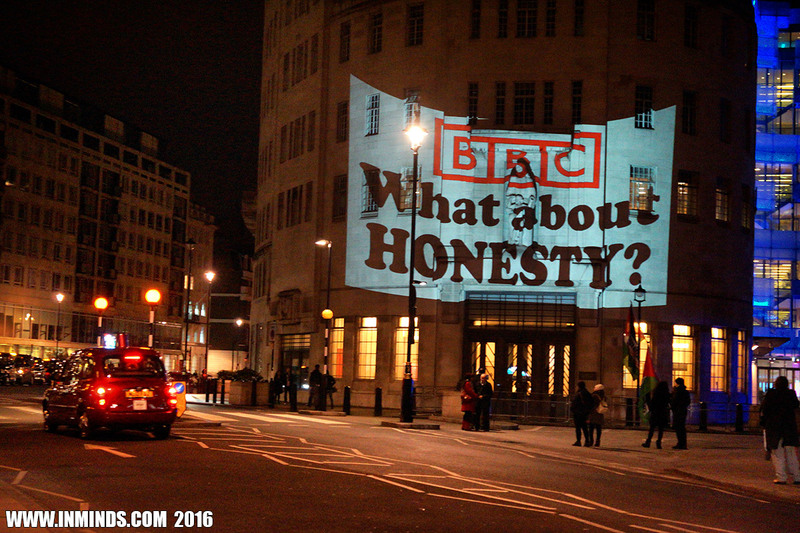 Rather than rally journalists around the world to pressure Israel to ensure the safety of this brave Palestinian citizen journalist, the BBC has ignored his plight and left him to the mercy of the killers.